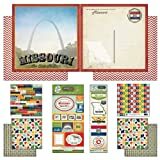 The flag of Missouri consists of three horizontal stripes of red, white and blue, which symbolise valor, purity, vigilance and justice, and also relect the state's historic status as French territory. 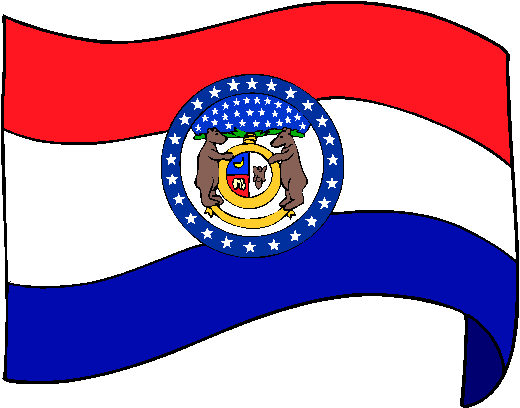 In the center of the flag, is the state seal surrounded by a blue band containing 24 stars, signifying Missouri's admission as the 24th state of the Union. The flag was created by Marie Elizabeth Watkins Oliver, and officially adopted by the state in 1913.